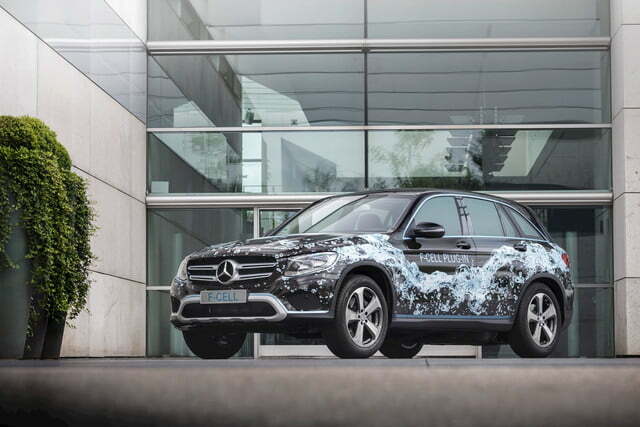 As far back as 2010, Mercedes-Benz has discussed putting a hydrogen fuel cell vehicle on sale by 2017. 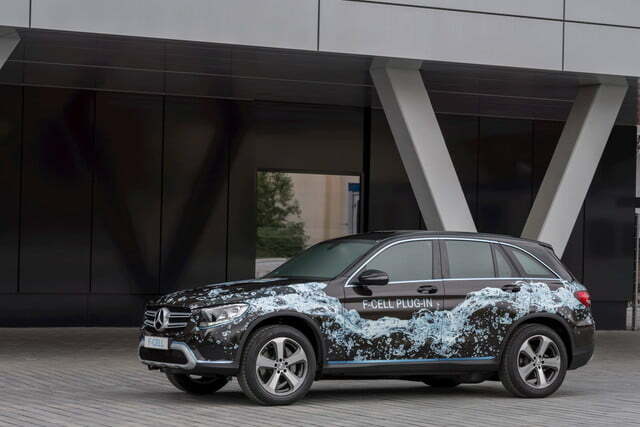 With just a few months left to go before the start of 2017, Mercedes is following through on those plans with a fuel cell model it says will indeed go on sale by next year. 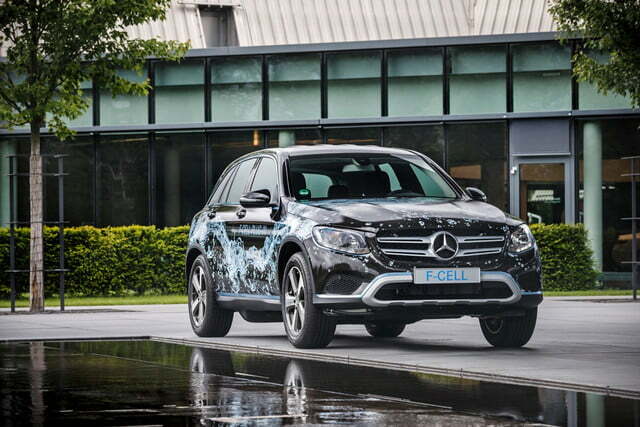 The GLC F-Cell is a prototype based on the GLC-Class small crossover that previews Mercedes’ upcoming fuel cell vehicle. 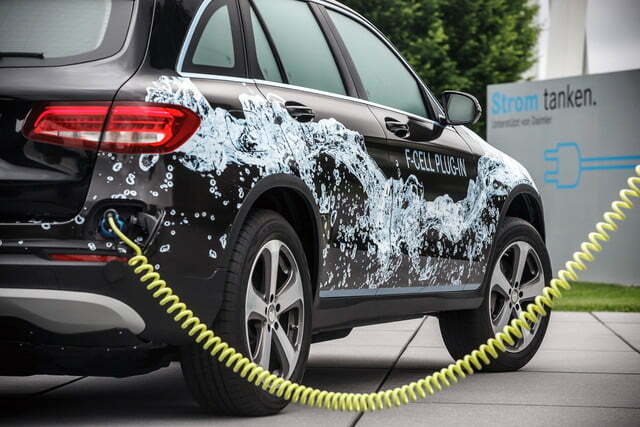 It confirms previous rumors that the production model would be based on the GLC. The F-Cell actually gets its power from two sources: a fuel cell stack, and a supplementary lithium-ion battery pack that can be recharged by plugging in. On both power sources, Mercedes claims a 500-kilometer (310-mile) range on the European testing cycle. A pair of hydrogen storage tanks encased in carbon fiber provide the majority of that range. One is mounted down the F-Cell’s centerline, while the other is mounted transversely at the rear. The 9kWh battery pack (mounted above the rear tank) kicks in about 30 miles of range. Power is sent to the rear wheels only. 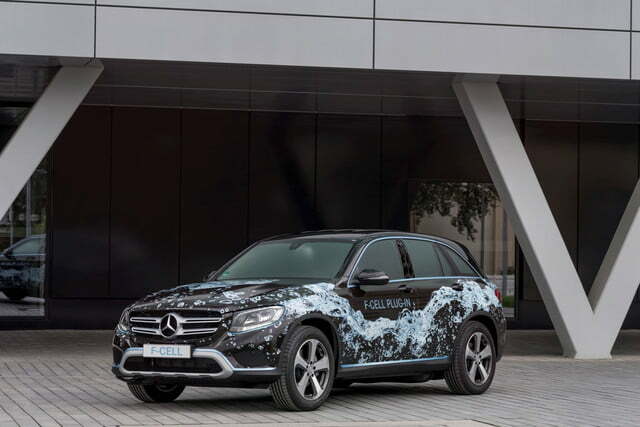 Mercedes says the new fuel cell stack is 30 percent more compact than the ones used in previous prototype vehicles, allowing it to fit completely under the GLC’s hood. It also uses 90 percent less platinum than previous designs. The stack was co-developed with Ford as part of an ongoing fuel cell partnership between the two manufacturers. The stack is built in Canada, and then shipped to Germany where it meets up with various other components like the hydrogen tanks and battery pack. Vehicles are assembled at a special facility on the site of the Bremen factory that builds the regular GLC. 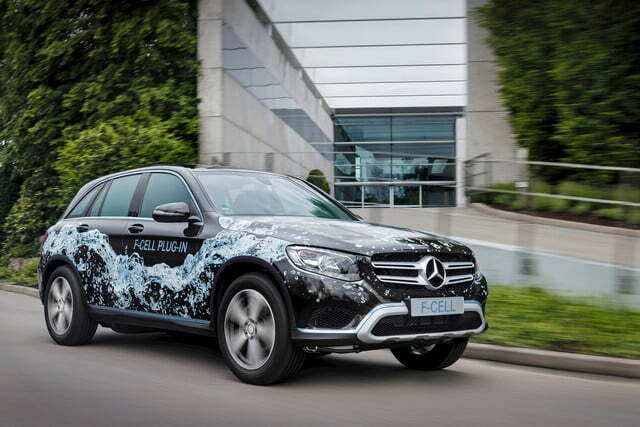 The Mercedes-Benz GLC F-Cell goes on sale next year. 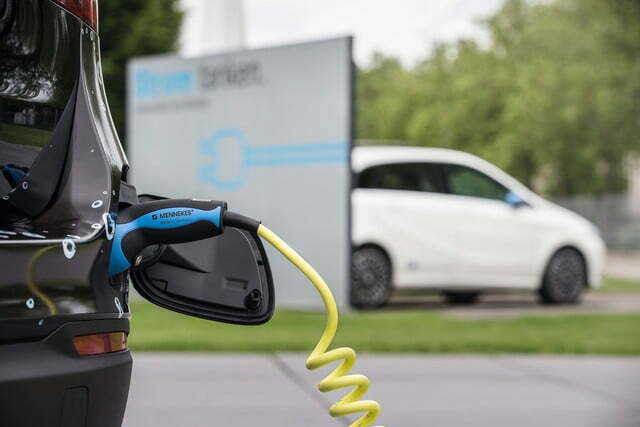 Like current fuel cell models from Honda, Hyundai, and Toyota, it will likely be available in limited quantities, and only in regions where there are enough hydrogen fueling stations. Mercedes hasn’t confirmed plans to sell the F-Cell in the U.S. but, if it does, that means the crossover will likely be available only in California initially.